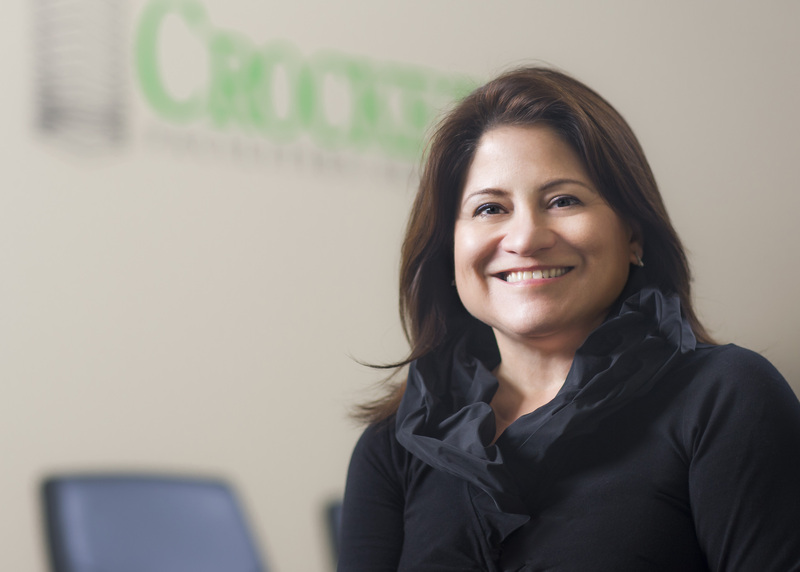 Cynthia Esparza Crockett, president and co-owner of Crockett Facilities Services, Inc., has been selected to receive the distinguished 2013 Top 100 Minority Business Enterprise Award. The Top 100 MBE® Award is given to enterprising women and minority entrepreneurs that fuel the region’s economy through their innovation, sacrifices, and dedication. These business owners are living their dreams and making significant contributions to their clients, professions, industries and communities. The Top 100 MBE® ceremony on October 30th acknowledges and pays tribute to outstanding women and minority business owners in Maryland, Virginia, Pennsylvania, Delaware, and the District of Columbia. The awards ceremony is scheduled during Mayor Stephanie Rawlings-Blake’s Supplier Diversity and Inclusion Week at the War Memorial in downtown Baltimore. For a complete listing of this year’s winners, please visit www.top100mbe.com or call the Mayor’s Office of Minority and Women-Owned Business Development at 410.396.3818. In 2013, CFSI also was named to Engineering News-Record’s 2013 top 600 specialty contractors list, the Washington Business Journal’s list of top ten mechanical contractors and the top 25 women-owned businesses list, as well as the Inc. 5000 list of fastest-growing private companies in America by Inc. magazine. Call Crockett Facilities Services today to get a preventive maintenance quote for your heating and air conditioning system – call 202.600.2787, email sales@crockett-facilities.com or complete our online form for a service quote. Crockett Facilities Services Inc., a top ten mechanical contractor, provides 24/7 commercial HVAC and mechanical services throughout Washington D.C., Maryland, and Virginia. This entry was posted on Wednesday, October 30th, 2013	at 12:47 pm	and is filed under Blog, Crockett Facilities Services Press Release . You can follow any responses to this entry through the RSS 2.0 feed. Both comments and pings are currently closed.